The 14th annual Rotary Club, Tenerife South tournament takes place on Friday May 1 2009. All Golfers get the chance to play golf on one of the islands top courses, and in turn help those less fortunate than you. This year the money raised will go to day centres for disadvantaged and handicapped youngsters across Adeje, Arona and San Miguel. After the Golf there will be a prize winners presentation, followed by a buffet lunch, and cocktails. To find out more, and to register, call at Golf Costa Adeje, phone 922750000, or email direccion@costaadejegolf.com . Golf Grips : Why the vast price difference ? I was in the process of re-gripping my clubs so I looked the Internet for the best prices for Golf grips. The Grip I decided on was the Golf Pride Multi Compound grip and the price was in the region of between £6.00 to £8.00 per grip in the UK, here in Tenerife they wanted about 7 to 10 Euros per grip, so 13 grips would cost about between 91 and 130 Euros fitted. A bit more research and a bit of time and I went to EBay and found this seller Gramola from the UK who sells the Sharpro Multi Compound Golf Grips, which by the way look identical to the Golf Pride ones, but cost a fraction of the price. 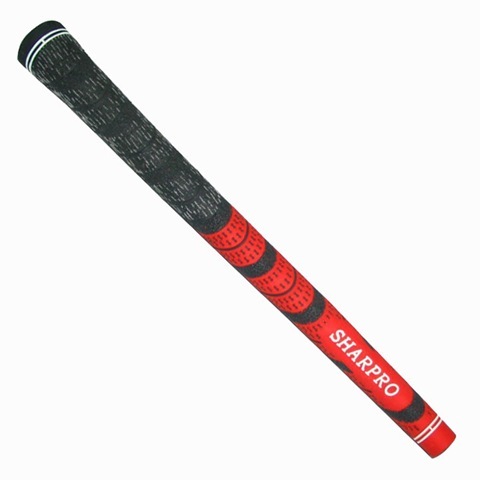 In the end I checked some golf forums (Here is the link) for feed back on the Sharpro grips and the general consensus was that they were very much the same as the golf pride the main difference as far as I was concerned was the price I bought 13 Grips for just £23.00 delivered and I, with a bit of tape, will put them on myself, even if your unable to do it yourself the local Pro assistant I am sure would charge about £1.00 per grip to put them on, making your total cost to around £36.00 for 13 grips fitted. I understand companies have to make profit, but for the life of me, I don’t see why the two products which seem so similar should be poles apart. I feel if the prices were more in line with the cheaper grip then more people would consider renewing their grips on a more frequent basis, giving more work and in the long run more profit to the club Pro.